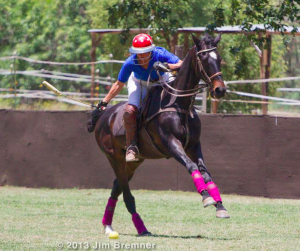 Rio is a thoroughbred racehorse who has learned to be a polo pony. His handsome good looks and spirited attitude, make him really fun for exciting fast polo. With his smooth gaits, he is a much requested lesson horse. Rio’s “pick me, pick me” eagerness makes him fun and popular. 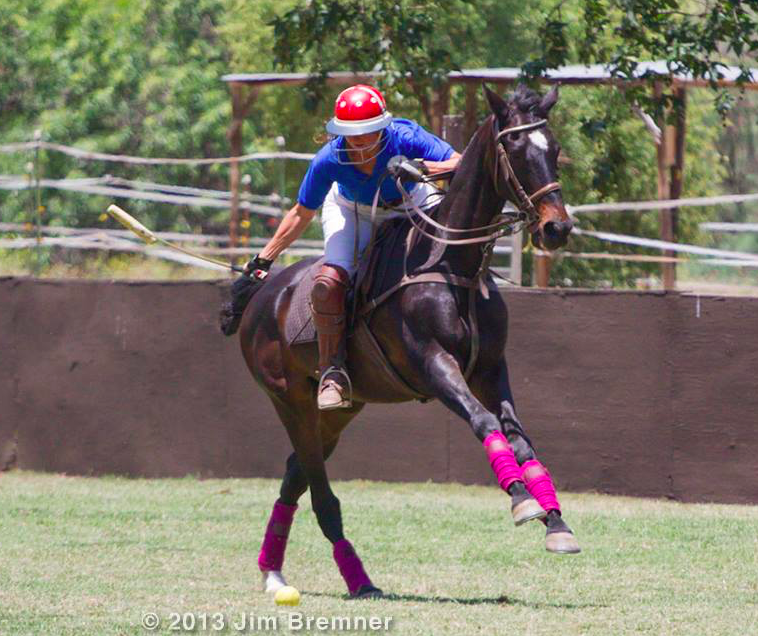 His enthusiasm does not end on the polo field, but carries over to trial rides and lessons. In his heart he is a famous Hollywood movie star.